Lush Fab Glam Inspired Lifestyle For The Modern Woman: Fab Quotes: Audrey Hepburn's Beauty Of A Woman. 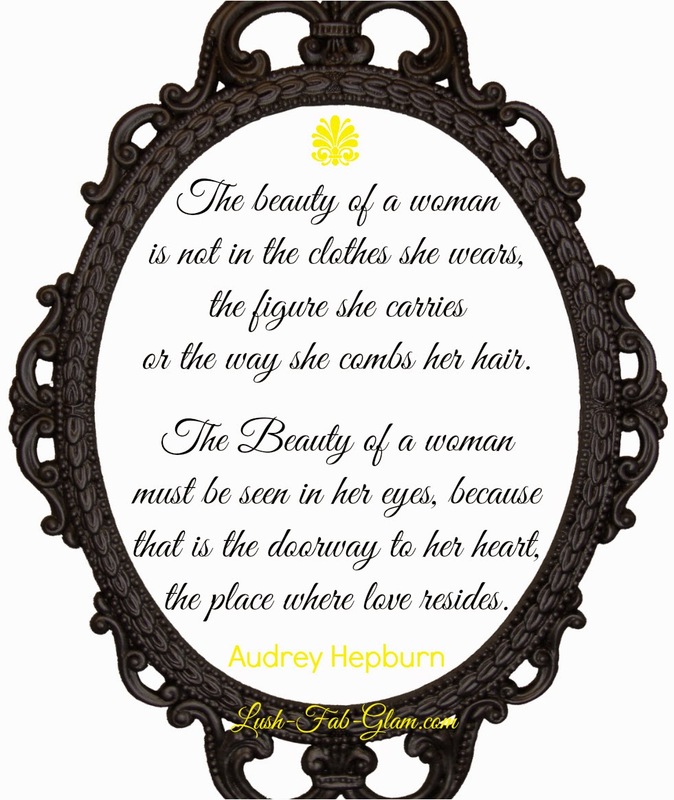 Fab Quotes: Audrey Hepburn's Beauty Of A Woman. This week's fab celebrity quote comes from the Hollywood fashion and beauty icon Audrey Hepburn. She was the symbol of elegance and beauty in her time and that is still the case today as women the world over carry on the classic Audrey Hepburn bangs and top-bun hairstyle or accessorize their LBD with pretty white pearls. "The beauty of a woman is not in the clothes she wears, the figure she carries or the way she combs her hair. The beauty of a woman must be seen in her eyes, because that is the doorway to her heart, the place where love resides." -Audrey Hepburn. Love this featured quote? Click here for more fab celebrity and inspiration quotes. Are you an Audrey Hepburn fan and what do you think of her beauty of a woman quote? Share with us by leaving a comment below.